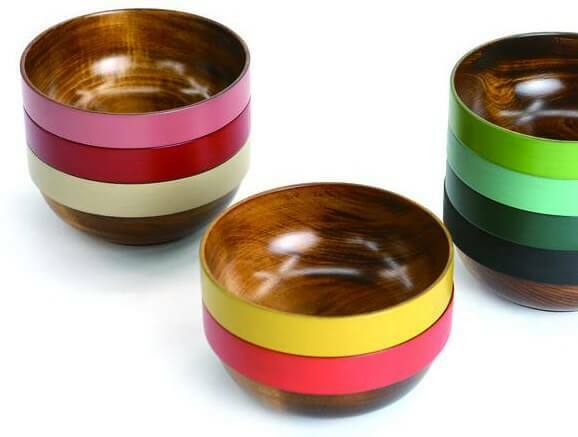 An unique aspect of Kagawa lacquerware is their variety of colors and patterns. 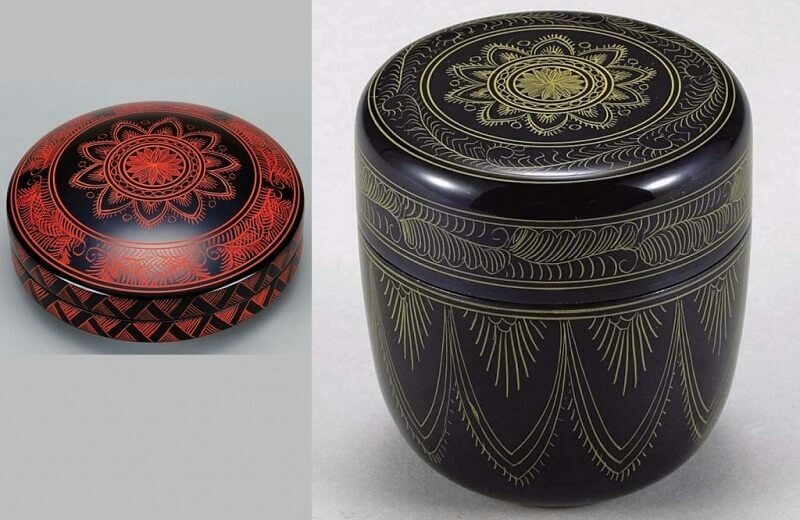 Kagawa lacquerware has developed making techniques based on the skills brought from south east Asian countries in the old era. 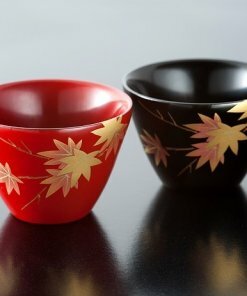 Because of unique origin of their making techniques, Kagawa lacquerware have different tastes from traditional “pure” Japanese lacquerware. 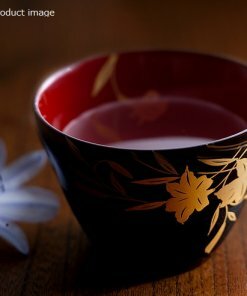 In Edo era (18-19th centuries), the lord of Kagawa area encouraged craftsmen to produce lacquerware for using in tea parties, flower arrangement and calligraphy. 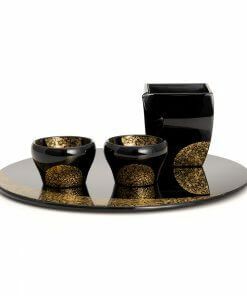 Therefore, the lord warmly helped the lacquerware industry to develop, and the industry had greatly developed as a result. 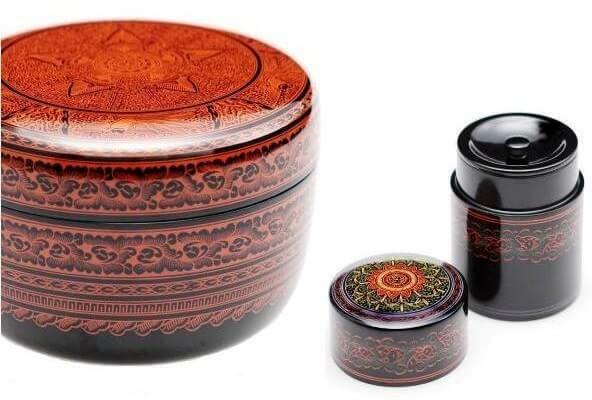 This culture has succeeded until today, and Kagawa lacquerware has became the largest producing center whose lacquerware has top quality and huge variety of products; it also nourished several living national treasures (meaning master artisans) in the traditional crafts category. 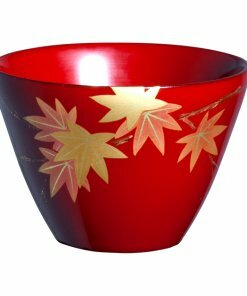 In this post, I’ll introduce fascinating products of Kagawa lacquerware, as well as their unique making skills. 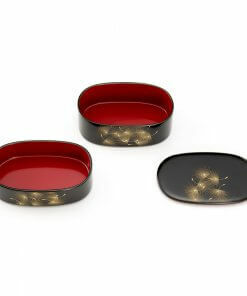 How Much Are Lacquerware Made by Master Craftsmen of Living National Treasure? 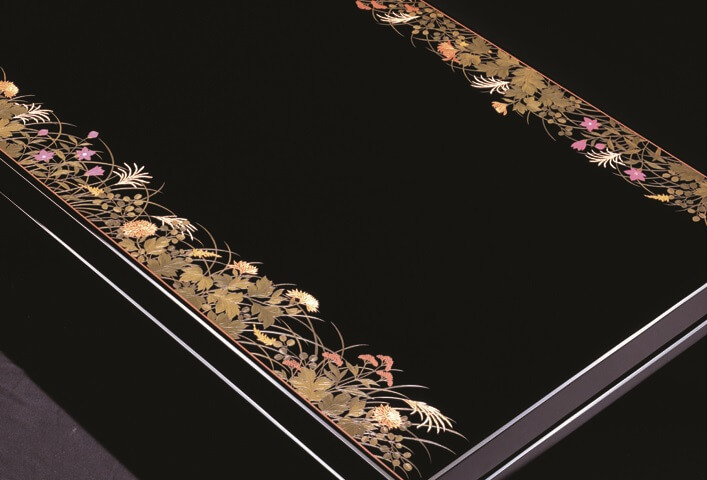 Kinma is the technique to express minute and sophisticated pattern on the lacquer surface. 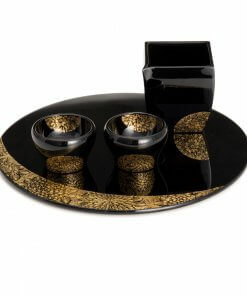 You may feel elegance on the lacquerware made with Kinma. 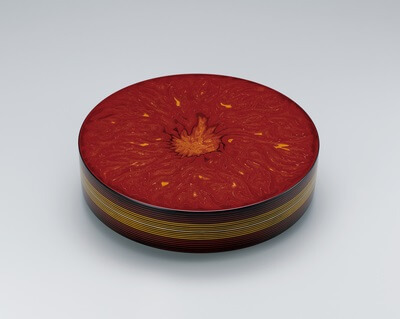 Actual making process starts with carving the surface with a special carving knife called Ken, followed by filling the pattern with colored lacquer. 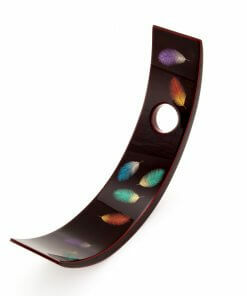 Not fill all colors at a time, craftsmen put colors one by one as make coloring layers. 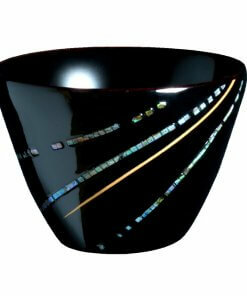 After all colors are filled, they polish its surface to make it completely flat. 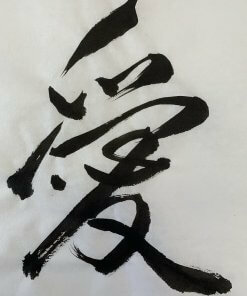 Zonzei is a technique handed from south east Asia to China to Japan. 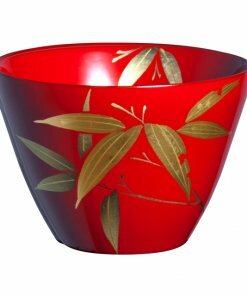 Craftsman draw with colored lacquers such as black, red and yellow, then carve its surface to finish up beautiful outlines of the drawings. 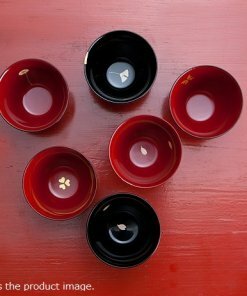 These traditional techniques to process lacquer characterizes the traditional craft of Kagawa lacquerware. 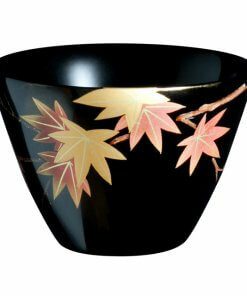 Thus, beautiful colorings and sophisticated appearances of Kagawa lacquerware attract people. In addition to the techniques introduced above, there are several other techniques; Choshitsu method enables to draw with colored lacquer to make up to 200 layers; Goto-nuri painting method enables lacquerware with changing colors as they are used. 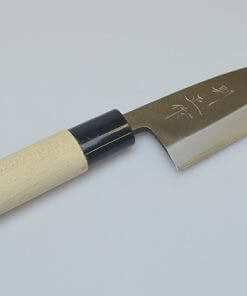 The living national treasure are master craftsmen who are designated by the Japanese government. 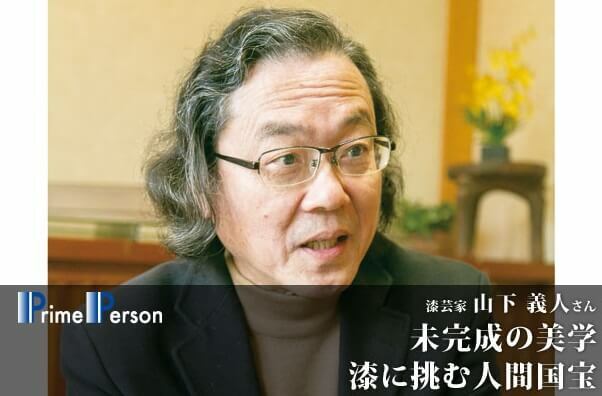 Those who have notable skills and outstanding achievements in Japanese traditional crafts making are awarded by the Minister of Education、Culture、Sports、Science and Technology. 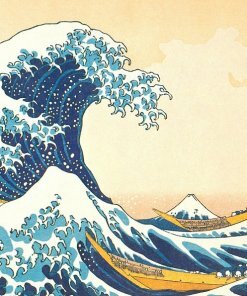 In other words, their skills and achievements are as valuable as the national treasures. 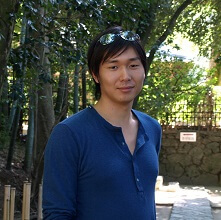 The number of the living national treasure is 116 persons in 2014. 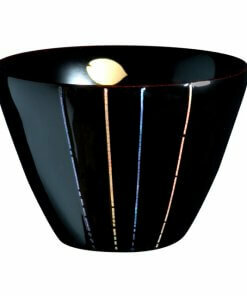 Surprisingly, five of them are awarded in the field of Kagawa lacquerware. 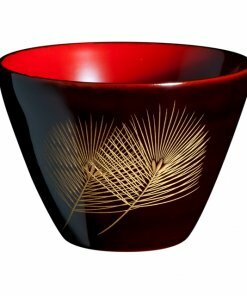 Here I introduce one of the five living national treasure of Kagawa lacquerware craftsmen, Yoshito Yamashita. 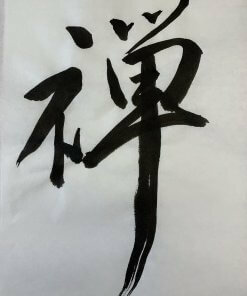 And I also introduce one of his masterpieces. 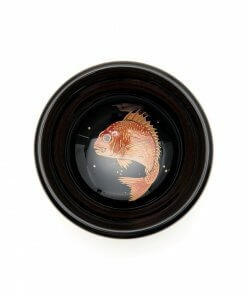 This masterpiece is made by the most famous making technique of Kagawa lacquerware, Kinma. 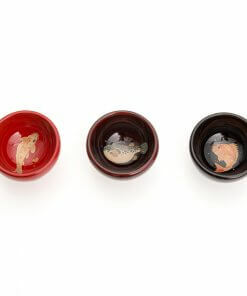 On its surface, he expressed burning fire by red lacquer and gold powder. 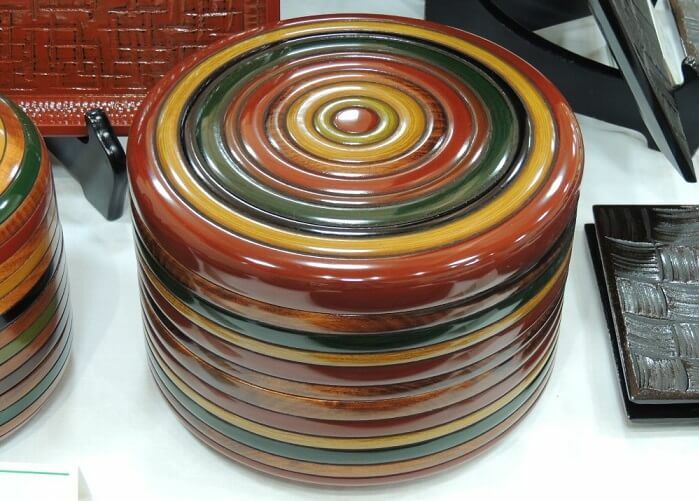 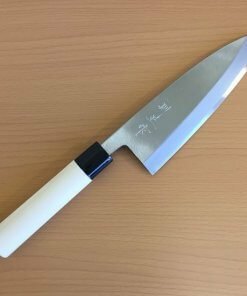 Diameter is 32 cm and height is 8cm. 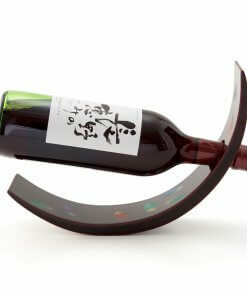 Price was 4,600,000 JPY, which is equivalent to approx. 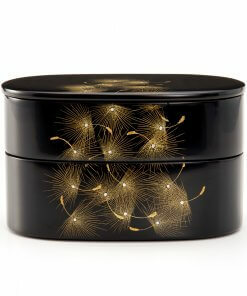 4.2M USD or 3.8M EUR. 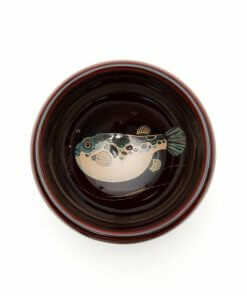 With its complicated and unique techniques of Kagawa lacquerware, it became one of the most valuable lacquerware in Japan. 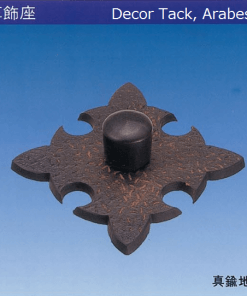 Five living national treasures are active master craftsmen today. 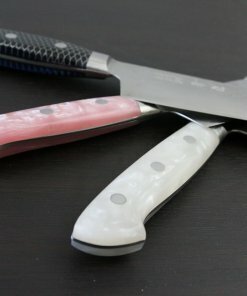 Hope we OrientalSouls.com will have a chance to introduce their priceless products to our customers. 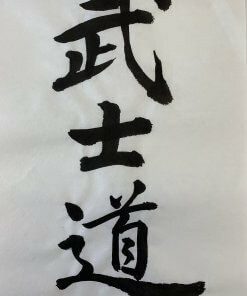 Innovation of High Grade “Taishu Washi” Japanese Paper – How They Are Used Today?